This leisurely 5 day guided cycling tour takes in the stunning Hawkes Bay region of New Zealand, stopping at cellar doors and enjoying gourmet food along the way. Located on the east coast of the North Island, Hawkes Bay is the oldest and second largest wine region in New Zealand, producing award winning, full-bodied reds and also Chardonnay. 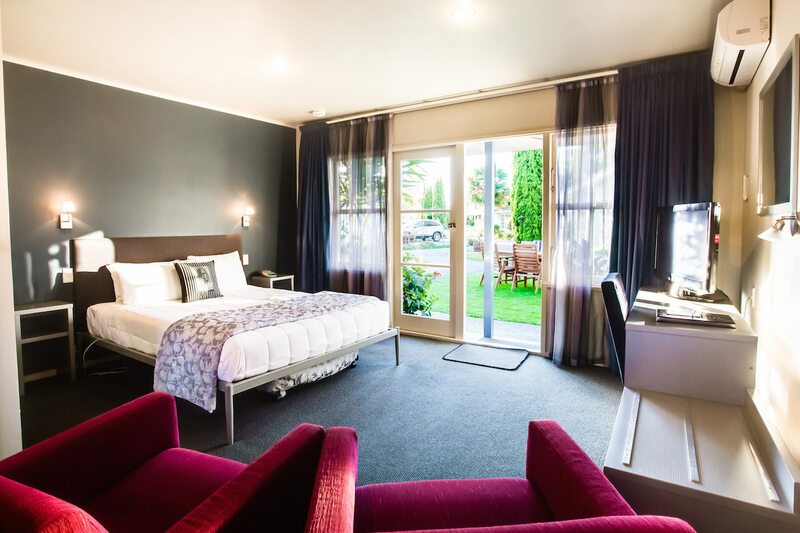 With its Mediterranean climate and fantastic network of flat off-road cycling trails, Hawkes Bay is the perfect destination for those looking for an active yet laidback holiday. Stay in premium accommodation, taste world class wines and fresh local produce, soak in the spectacular scenery and enjoy some exclusive bonuses such as a food and wine matching tutorial.... oh, and of course there's the cycling! 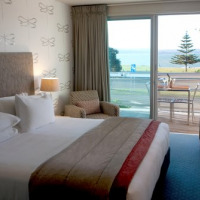 Accommodation consists of 2 nights in a 4.5 star boutique hotel and 2 nights in comfortable, contemporary 4 star motels. 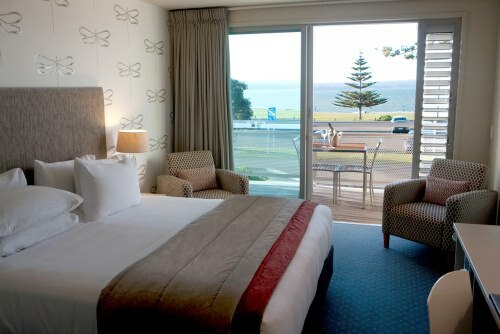 Your first and last nights are spent in the Art Deco town of Napier at The Crown Hotel. 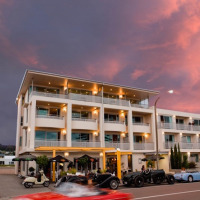 This contemporary boutique hotel overlooks the waterfront and is home to the popular Milk and Honey Restaurant as well as a courtyard bar with outdoor fireplace. 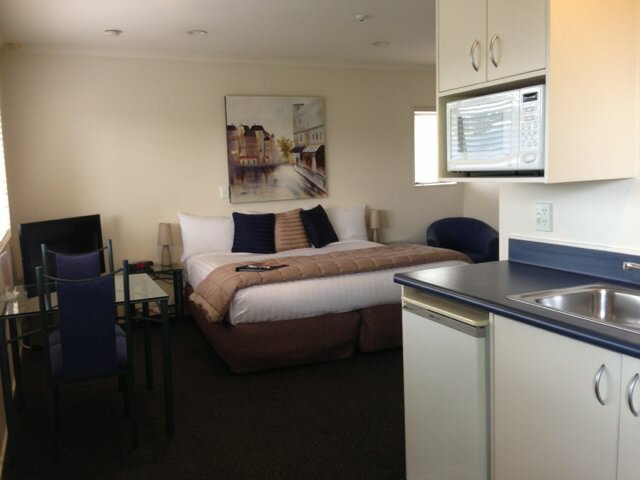 The second night will be at the Colonial Lodge Motel in Taradale and the third night is at Havelock North Motor Lodge. 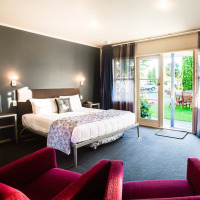 You will be collected from Napier Airport and transferred to your beautiful accommodation, The Crown Hotel, overlooking Napier's waterfront. 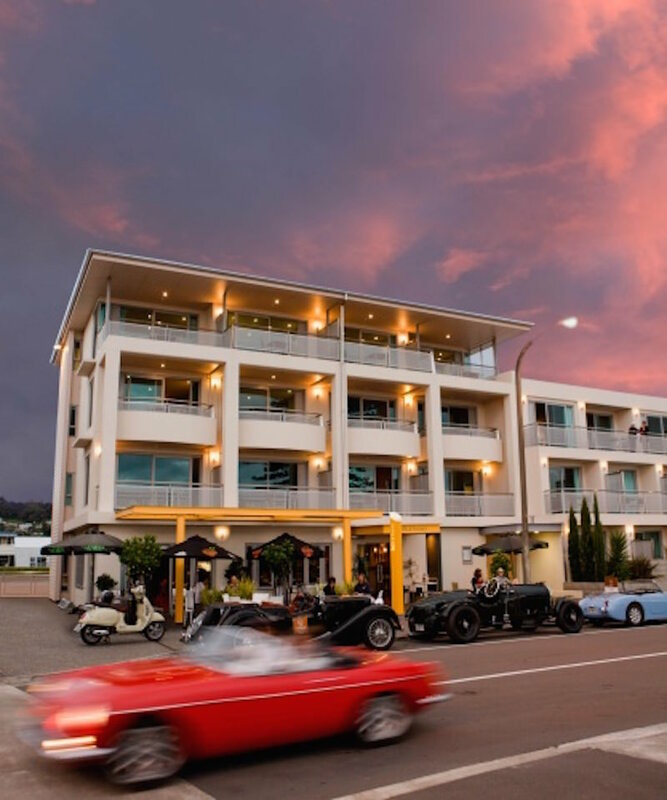 The afternoon is at leisure, so you may like to wander around and explore Art Deco Napier, or perhaps enjoy a leisurely warm up ride on the beachfront cycling trail. This evening, meet your guide and fellow cyclists at our first group dinner. Enjoy a two-course dinner at Milk and Honey, conveniently located at the hotel. Fuel up with a full breakfast at the hotel before heading off on our first day 'in the saddle'. We will head out on the flat off-road Water Trail, via the Ahuriri Estuary, to Taradale. We will stop at Church Road Wines where we are treated to a platter style lunch of local gourmet delights. Included here is also our bonus 'behind the scenes' winery tour with the winemaker/s, including food and wine matching. 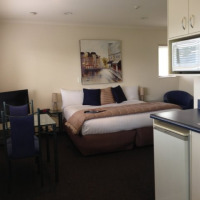 We continue on to Taradale where we stay for the night at the Colonial Motor Lodge. Dinner tonight is at the beautiful and historic Mission Estate Winery. Total distance covered is 20km, with an optional cycle around the Puketapu Loop (20km) for those with a bit of extra energy. Following a full breakfast, we will head off again on the Water Trail before joining the 'Wineries Ride' which will take us into the more open vineyard area known as 'Gimblett Gravels Appellation'. We will stop at a number of superb wineries along the way, including Te Awa Estate, Trinity Hill, Ngatawara Estate and Abbey Cellars. A platter style lunch is included. Tonight is spent in the delightful small town of Havelock North. Dinner is left free for you to choose whether you dine as a group or enjoy a meal on your own at one of the local restaurants located within walking distance of our motel. Total distance covered is 35km, all flat and slow-paced with lots of stops! After breakfast, we will cycle our way towards the coast. A slightly longer day's cycling today, but still plenty of time to visit a number of our favourite wineries including Clearview Estate Winery where we enjoy lunch, the incredible Black Barn Vineyard, Te Mata Estate Winery and the unique Elephant Hill Winery. The day's ride will finish with some delightful coastal scenery as we head back into Napier. Our final dinner is a casual pub style meal at the Shed 2 Bistro on West Quay, where we can debate our favourite wines and wineries and exchange contact details with our new friends. Distance covered today is 50km over flat off-road trails, with lots of stops. After a leisurely breakfast, arrangements will be made for your onward transfers. BONUS: 1.5 hour 'Behind the Scenes' tour at Church Hill Winery including food and wine matching. This cycling tour is perfect for 'weekend' or occasional cyclists as it is done at a leisurely pace, with plenty of stops along the way and is a relatively flat and easy ride. It is great for those who wish to enjoy the great food and wine the region has to offer, but who would like to even it out with some exercise! There is also a support vehicle should you not feel up to completing any section of the trails or if a particular day seems a little hard. Obviously a moderate level of fitness will make the tour a little easier and therefore more enjoyable.